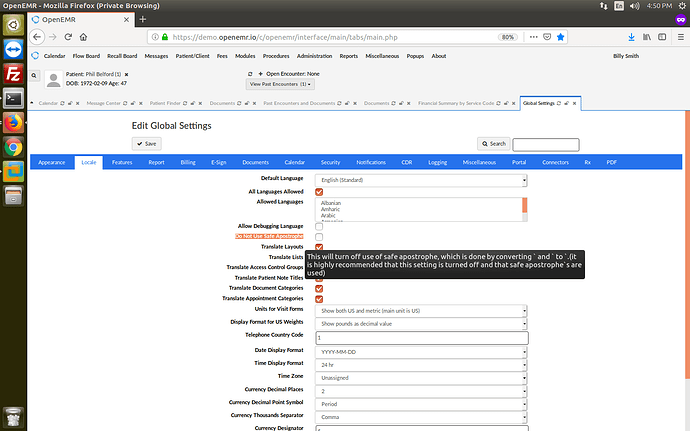 After enter into the openemr , Administartion -->Globals–>Locale tab ,we have the feature like Do Not Use Safe Apostrophe after enable that feature what is the use that. We convert ’ and " characters to `(backtic) in the translation engine, since ’ and " characters can break scripts. Some groups don’t want to do this, so we offer turning this off as an option, which I would not recommend doing.